Salvi, Schostok & Pritchard P.C. Tara R. Devine joined Salvi, Schostok & Pritchard P.C., in March 2004. She concentrates her practice in the areas of personal injury, nursing home negligence, wrongful death, medical malpractice and product liability cases. Ms. Devine has helped achieve settlements on behalf of her clients in excess of $180 million dollars in personal injury, medical malpractice and wrongful death suits. In August 2017, Ms. Devine won a $148 million jury verdict on behalf of a dancer paralyzed by a collapsed pedestrian shelter at O’Hare International Airport. In 2016 Ms. Devine obtained an $18.5 million settlement on behalf of a child who suffered serious brain injury due to a delay in the diagnosis and treatment of meningitis. Also in 2016, Ms. Devine obtained a $1.6 million verdict in a wrongful death case, the highest recorded verdict in Stephenson County. In recognition for her outstanding work on the trial, Ms. Devine was honored with a Trial Lawyer Excellence Award presented by the Jury Verdict Reporter, a division of Law Bulletin Publishing Company. In addition, Ms. Devine has successfully litigated catastrophic automobile, motorcycle and boating accidents. More recently, Ms. Devine has become involved and litigated several Nursing Home abuse and negligence cases. Ms. Devine is licensed and practices in Illinois and Wisconsin. Ms. Devine holds degrees from the University of Illinois (B.A.) and Marquette University Law School (J.D.). She is a highly active Marquette Law School alum who has served as a Committee member for the 2013 and 2014 Chicago Marquette Lawyer receptions. Ms. Devine belongs to the American Bar Association, American Association for Justice, Illinois State Bar Association, Wisconsin State Bar Association, Lake County Bar Association and Chicago Bar Association. 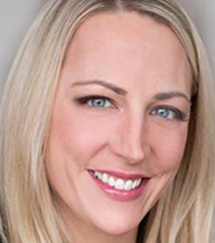 She is also a member of the Illinois Trial Lawyers Association who serves on the organization’s Board of Advocates and as a guest speaker for the organization’s legal seminars. © COPYRIGHT 2016/2017 - TRIAL LAWYERS SUMMIT.